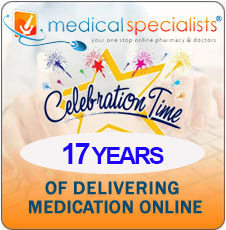 Established 1994, the UK's first legal online Prescribers in 2001, now the first One Stop Online Pharmacy, supplying Genuine Branded Prescription Medicine for Health & Lifestyle and Erectile Dysfunction, also known as Male Impotence with or without a private prescription, discreetly to you within 24 hours. 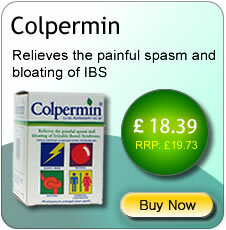 Medical Specialists® are the first to pioneer this. We have our own in-house GPhC registered Prescribers. We have our own in-house Pharmacy with RPS Pharmacists and staff. 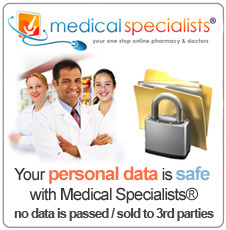 Safe and Secure, as your personal details are not sent to a third party. Our Prescribers write your prescription or you send a private prescription to us. We now dispense NHS prescriptions. Medical Specialists® can help you with medication to solve your problem. Easy 4 step Online Consultation procedure. Genuine branded medication from Pfizer, Lilly or Bayer. Our own Pharmacists dispense the medication for you. Discreet 24 hour delivery by Royal Mail Special Delivery. 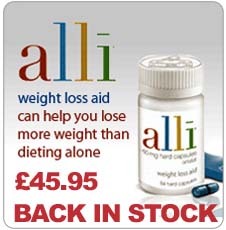 Erectile Dysfunction medication from as little as £0.23. Pain can be an annoying problem, prescription pain relief medication is now available. Inhalers from as little as £1.25, plus a range of allergy treatments. New medication to help with the reduction of alcohol consumption. Migraines can cause serious headaches, prescription treatments are now available.